Newspaper Craft is quite popular and an easy project for kids and adults! 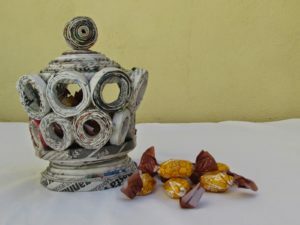 Old waste newspapers are easily available in every house! 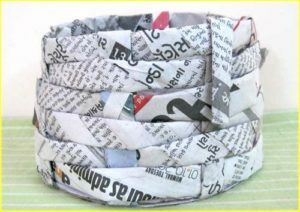 Paper Crafts like Newspaper Hats, Newspaper bags or Newspaper Baskets made with Recycled Newspaper is quite a useful and affordable idea! 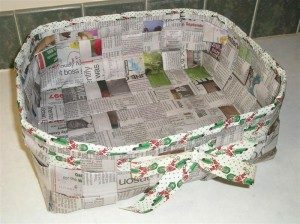 We are sharing some of the most popular and simple newspaper basket tutorials and ideas with you to create something unique and amazing this holidays! 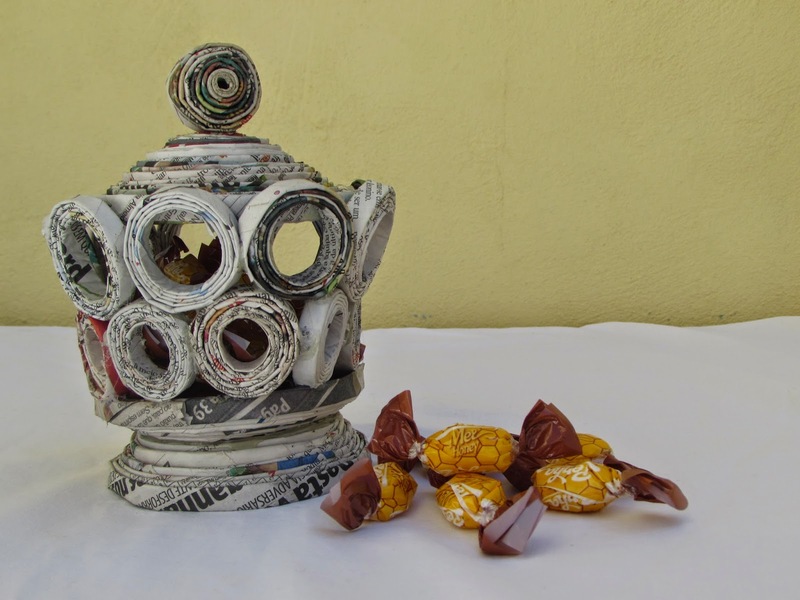 Using old newspapers to recycle them into wonderful crafts is a great idea! 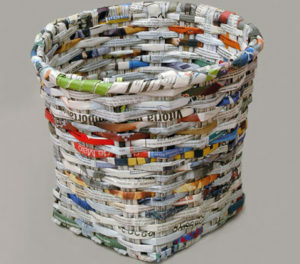 Weaving newspaper strips into this unique newspaper basket is a delight to the eyes! 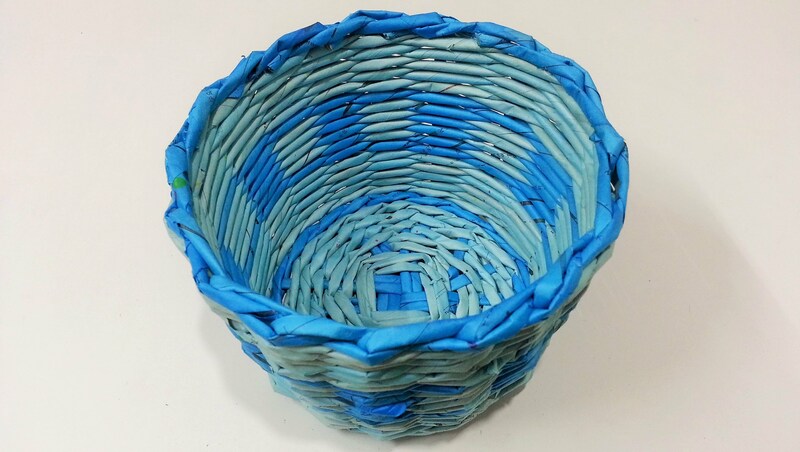 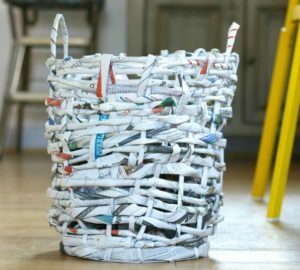 Learn how to weave and make a basket out of old newspapers, magazines, and papers! Taking newspapers with lots of colors and graffiti will add on to the look. 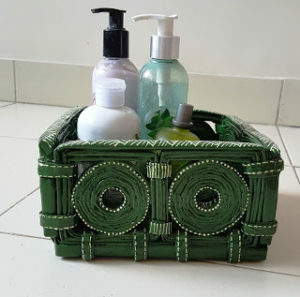 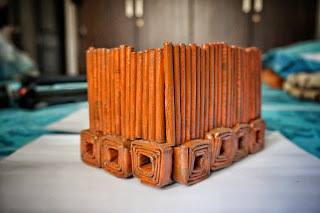 This homemade handicraft is very useful and affordable. 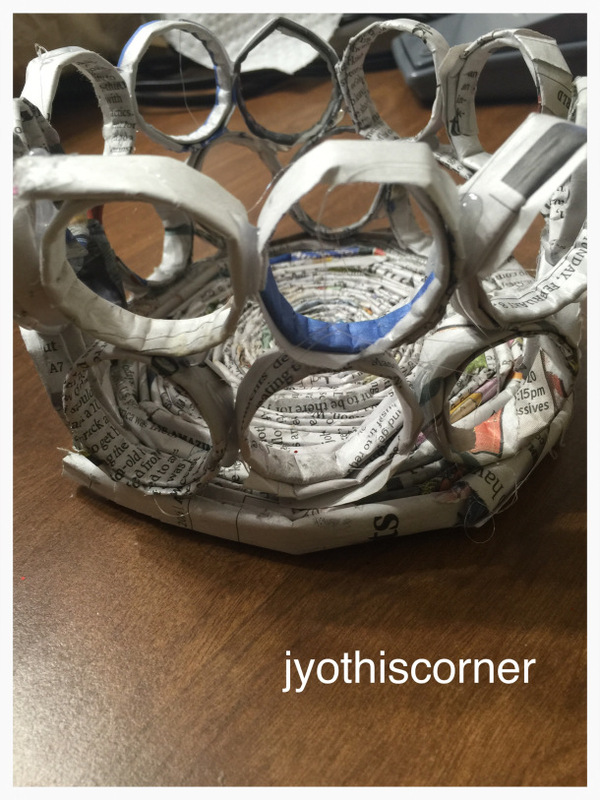 A unique papercraft which is simple and fun to make. The round shaped newspaper basket is a wonderful paper decoration! 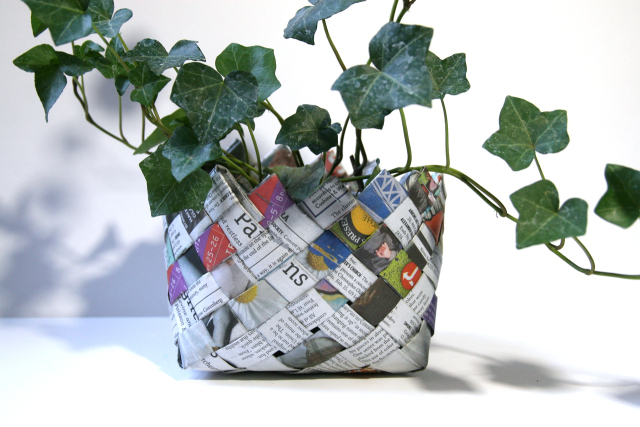 Try this quick and easy newspaper craft and weave a beautiful rectangle basket. This can be used to keep fruits or other accessories. 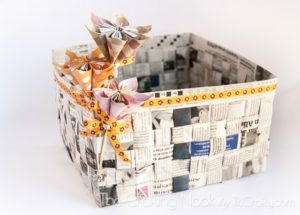 Creating this newspaper basket is a very creative and unique project. 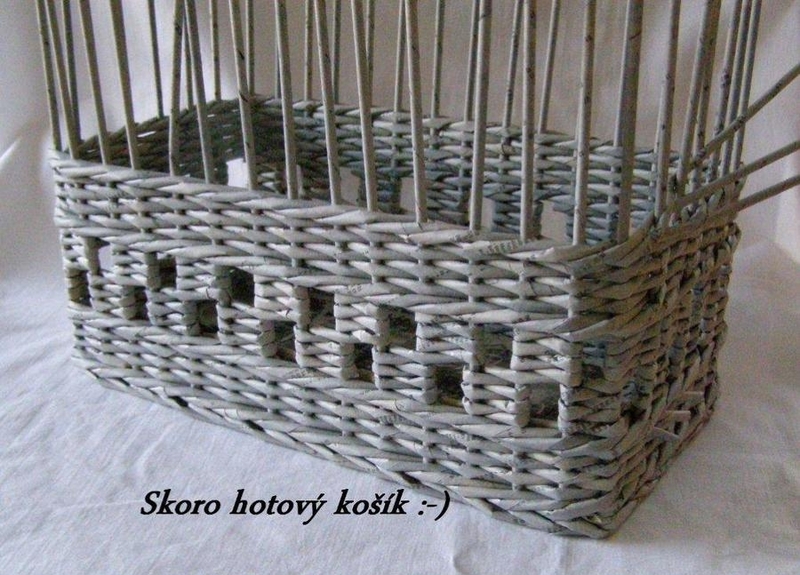 Rolling newspapers to weave them in a newspaper basket with handles is an amazing idea! 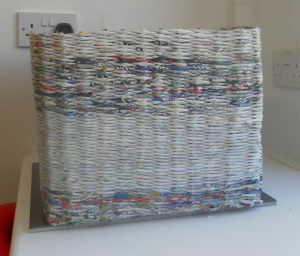 You can easily use this as a laundry bag and place it in a corner in your room. 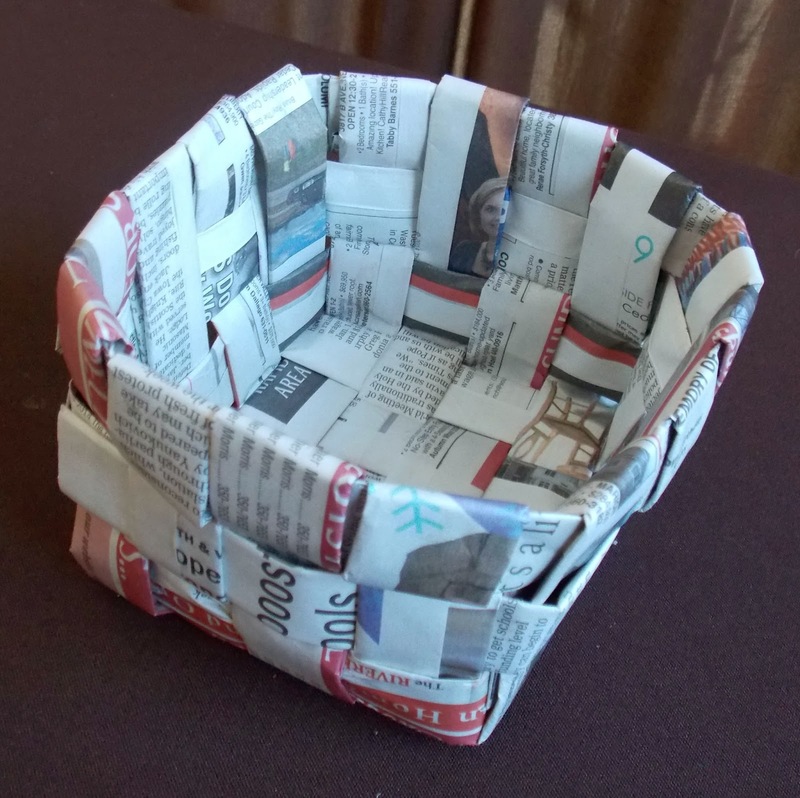 Making creative newspaper crafts with kids this holiday season will be a fun project! 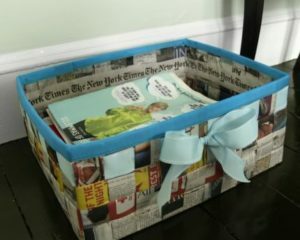 Small newspaper baskets to adorn your side table is a perfect craft! 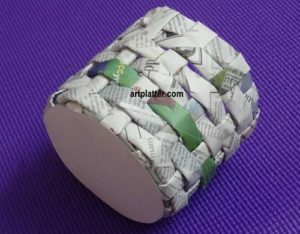 Weaving a wonderful design with newspapers and painting them to the colors of your choice! In this tutorial complete step-by-step directions are given with pictures so that you can weave a great newspaper basket quickly. Weaving with rolled newspaper strips to make this rectangle shaped basket is great for your side table. This is a wonderful craft idea! This tutorial shows how to coil and roll newspaper to make this unique and creative basket with geometrical shapes. 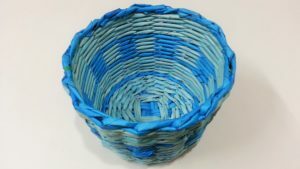 Painting it changes the look completely and no one would imagine that this is a handmade one! 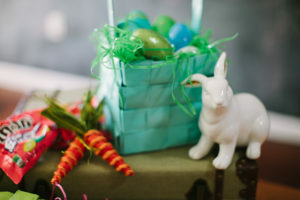 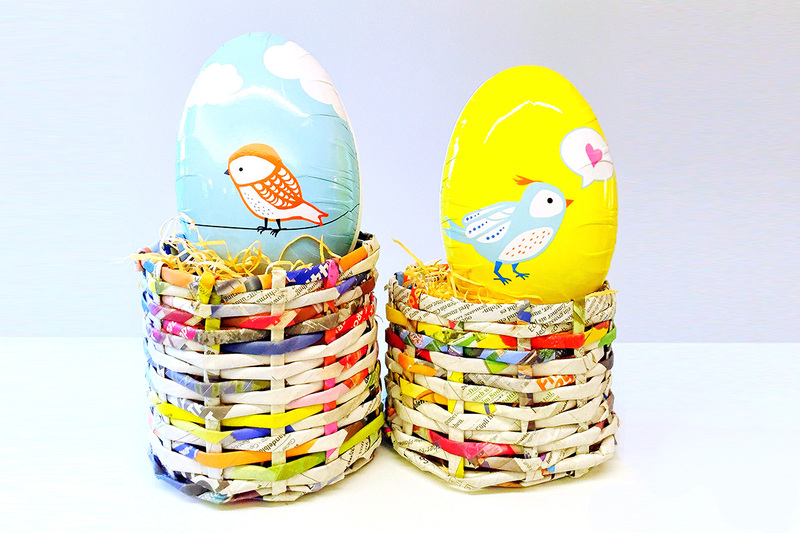 These cute little Easter baskets are a perfect DIY choice this holiday! 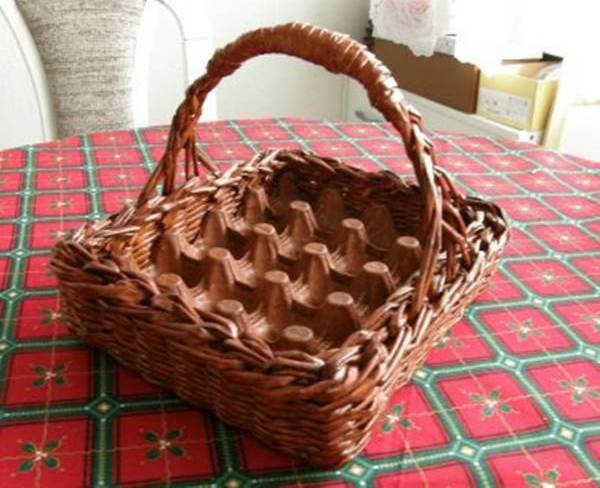 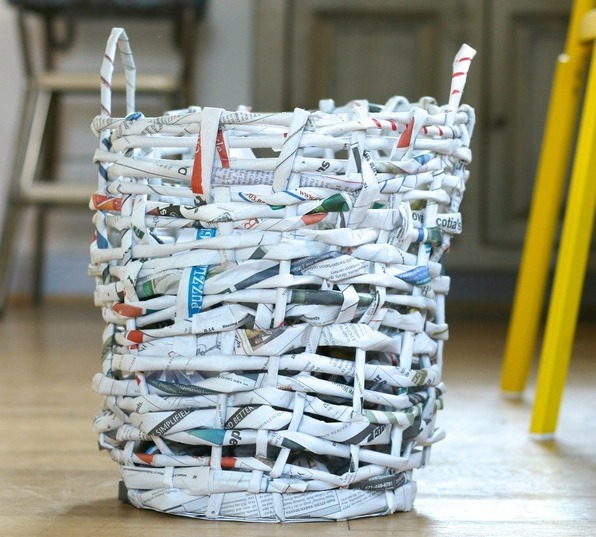 A simple and affordable project which upcycles old newspapers into wonderful baskets! 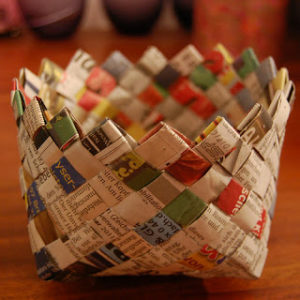 This is an amazing DIY flower basket made from newspaper! 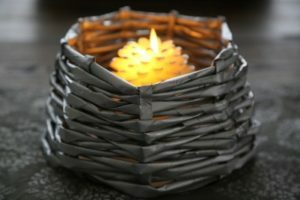 It will add a great rustic touch to your decor. 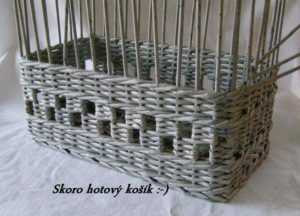 The small handmade baskets are painted in brown to give it a natural fiber look! 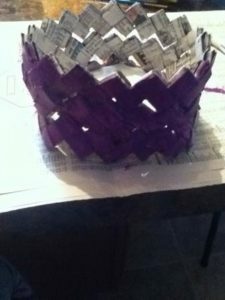 The 2 shades used in the tutorial gives it a country like look and is simply very creative. 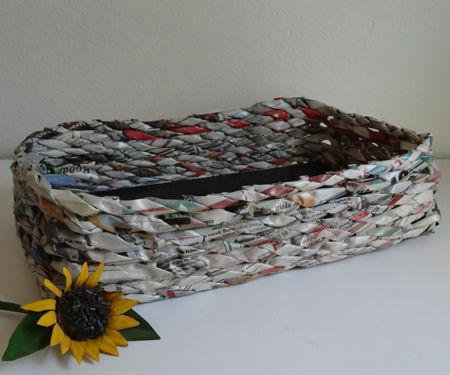 If you want to recycle some waste newspapers to use then try masking this beautiful basket from old newspapers! You can paint the creative baskets and decorate it with embellishments or flowers! An amazing design to make newspaper baskets! 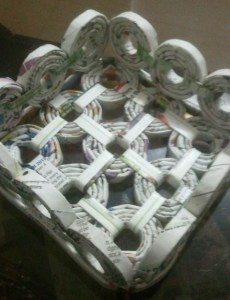 I loved the creativity and thought behind it. You can decorate your side table with this handmade creation! 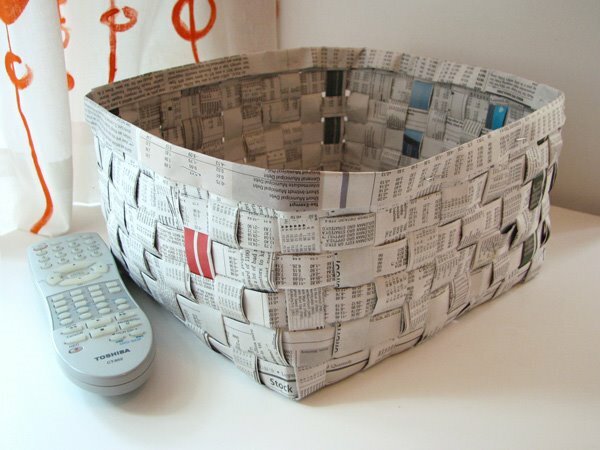 Recycle stacks of old newspapers in a creative way! Making these small cute Easter baskets for eggs are adorable! 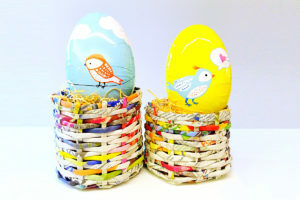 These pretty easter newspaper baskets are with handles. 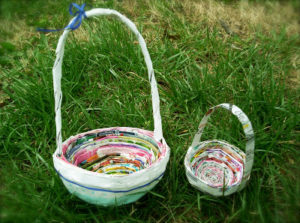 You can decorate them with paint and add paper cutouts or more. 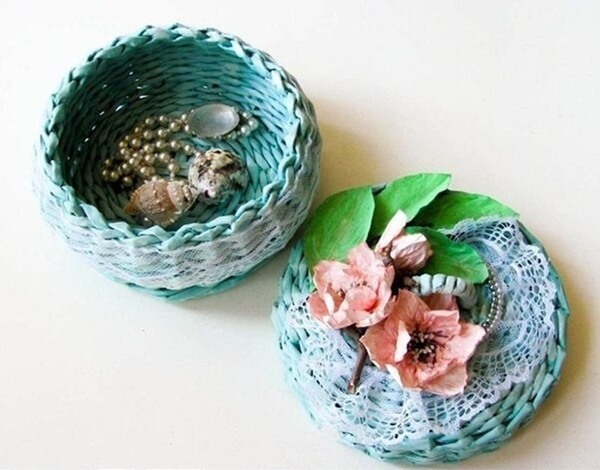 This is absolutely amazing to keep your small accessories and decorate your table! Adding on some lace, flowers or a bow to the lid will complete the look. 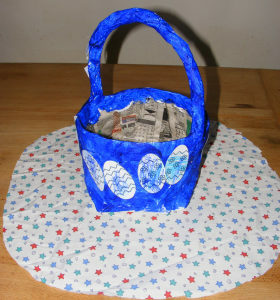 Rolling newspapers to create this amazing Easter basket is surely going to get you lot of compliments!